Christmas is a natural time for such events. Everyone is relaxed and the weather suits outdoor activities. An enjoyable time with workmates helps create a brighter workplace and ultimately strengthens a company, says the founder of Team Bonding a Sydney-based corporate event company. Cate Richards, who established Team Bonding a decade ago, says colleagues who participate in fun positive events away from the office are likely to be happier at work. Canny bosses are catching on to this. “One of their major costs is their people and if their people are happier, they’re going to stay longer and they’re going to be more productive,” Richards says. Many companies are concerned about alcohol consumption at Christmas parties and prefer to hold inclusive, casual events outdoors rather than gathering around a bar”, she says. While Team Bonding offers evening functions, particularly popular are casual daytime events followed by a relaxed lunch or drinks at an outdoor venue. “They choose a more casual style of event which ends up saving money,” Richards says. 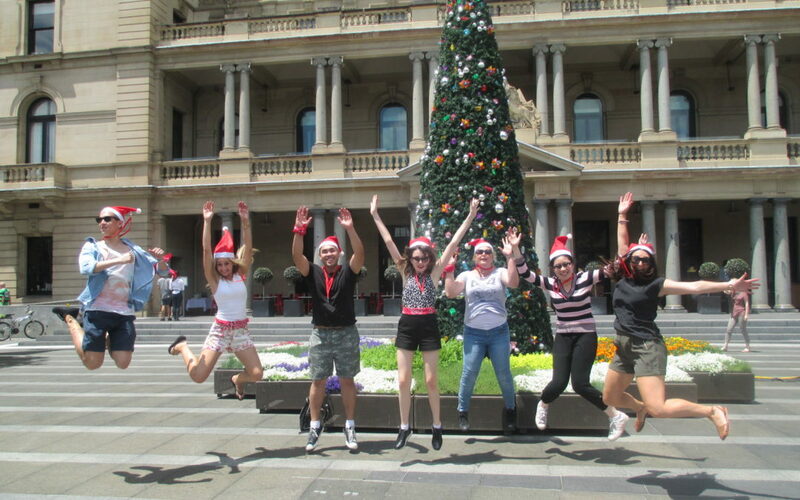 One such activity is a scavenger hunt called Amazing Race held across Sydney Brisbane and Melbourne locations. Team Bonding also offers outdoor games such as the Mini Olympics plus Kombi Kapers, (a car rally in vintage Kombis). There are also popular indoor events such as Laugh a Minute (loosely based on TV game shows Project Runway and Lip Sync battle). People can even turn detective to solve a murder in their midst. “If their goal is for the team to be rewarded, to enjoy themselves, get to know their colleagues better, see them in a different light and have more ease in their relationships all of the events work,” Richards says. Many employees appreciate being away from their screens and getting fresh air while doing old-school analogue pen and paper stuff. Team bonding events suit many businesses. As Richards says, “our biggest clients are the who’s who of Australia’s corporate Blue Chip world because they are the people that treat their staff well and they’re the people that invest in this kind of thing”. See Team Bonding’s options for a great Christmas party in 2018.